We can design and build a deck perfect for outdoor entertaining. We give you the options of pressure treated lumber, cedar, composite, and vinyl. Is your concrete porch, patio, or driveway cracked and ugly? We can remove your old concrete and pour a need driveway, porch, or patio for you. Welcome to Energy View Home Improvements! We are your full service home improvement company in St Louis. Based in Hazelwood, Missouri we service St Louis, St Charles, and Jefferson counties in Missouri and St Clair, Madison, and Monroe counties in Illinois. If you are within 65 miles of Hazelwood we can help you with your home improvement project. Our Trucks say Energy View Windows but we do so much more than windows. We can help you with roofing, siding, soffit, fascia, gutters, decks, concrete, fences, flooring, doors, garage doors, attic insulation, and many other projects. Our name is Energy View because we specialize in products that help you make your home more energy efficient to lower your heating and cooling bills. Our full line of thermal replacement windows and doors are an excellent way to cut your energy consumption. Combined with our attic insulation, insulated siding and garage doors we lower your energy bills without breaking the bank! From Affton to Wright City, Alton to Waterloo we are your one source to improve and beautify your home. Unlike most companies that come out with one window or one type of siding we handle the widest variety of brands, qualities, and prices of anyone in the St Louis area. If you need an inexpensive double pane clear window, or an ultra high performance triple pane krypton window or anything in between we can help. We offer home improvements to fit any budget or efficiency level. Need financing? We deal with many lenders so if we can’t get you financing it is likely that no one else can. Do you have a special project and don’t know who to call? Call us, if we can’t do the project for you, chances are we know someone who can. We do aluminum porch columns, storm doors, side walks, screen rooms, you name it, we can get it done for you? Do you want to do the project yourself but can’t find the materials you need at your local hardware or big box store? Call us! We will custom make windows or doors based off your measurements and sell them direct to you to install yourself. 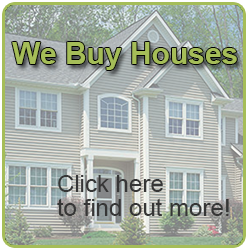 Use our buying power to get siding that you can’t get yourself. (314) 656-1437 to see if we can help! "I am writing to let you know how much I am pleased with my new door and the quality of the work done by your employees. " Authorized Dealer of Aristocrat Awnings, Canopies, Solar Shades and Sunrooms for homes and businesses.